Looking really nice so far. A conservative but nice update. Looking even more luxurious than the current model. A new 3.3 Liter engine with over 360HP should be available. We'll see how Hyundai is doing with their new Genesis sub-brand. This car starts at $33,000.00 before the $3000.00 rebate. The ES350 starts at $39,000.00. 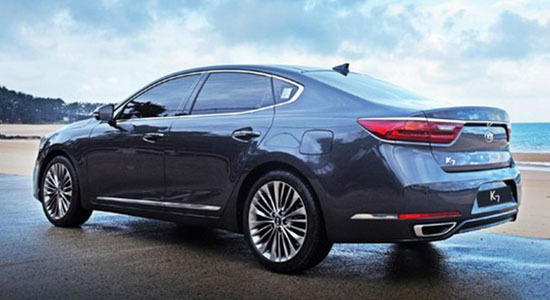 I mean the Optima Tops out at $37,000.00 and they sell plenty of those. 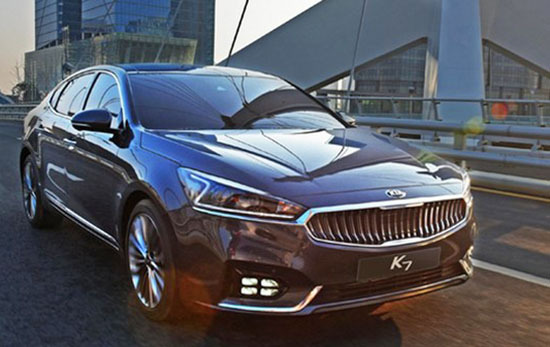 They should really rename it K700 for the US market to help align it with the K900 and indicate it is a higher-end product, instead of being marketed as a slightly larger V6 Optima. 2016 Lexus ES350 come with a plain old 260hp dohc engine while the Kia K7 comes with a state of the art 360hp TGDI engine. Looks okay. But I wouldn't ever consider a $35k kia. The brand is a real turnoff. Delightfully tacky. Now with Volvo S90 inspired grille. Much better than a Passat or some Audis.